"Fast to lose weight and break food addictions, than eat in a way to keep the weight off forever." Clearly, fasting is a speedy and effective way to lose unnecessary body fat, but once the fat has melted away restoring a youthful physique, how do we keep the weight off? And can we use fasting as a type of weight maintenance program, gaining when eating and losing when fasting? The answer is no. The last thing you want is to turn fasting into another form of purging creating the all too familiar binge/purge cycle. 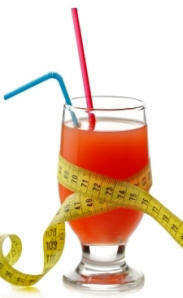 After melting the pounds away, the long-term benefit of fasting on weight loss is its ability to break food addictions. Once the fast is over and the challenge of eating returns, there is a new freedom from years of accumulated food addictions, making it much easier to establish a diet that will maintain healthy body weight. Fast to lose weight, than eat in a way to keep the weight off forever. That's balance. Let’s learn how. Fasting is an exhilarating way to begin a healthy lifestyle. Excess body fat quickly drops off and the bathroom mirror nodding approval for the first time in years. Often I have fasted to regain lost ground on a slipping diet, or to detoxify after Christmas feasting, which has been very effective for me. This can be healthy and balanced. Once the fast is completed, my diet reflects the freedom found during the fast. In other words, the fast is more about breaking food addictions and reestablishing healthy eating than the weight loss. The following is a balanced and healthy lifelong weight management program, avoiding the all too common seesaw action of gaining and losing weight through fad dieting or quick-fix fasting. Managing weight can only be achieved through a healthy diet, in other words, eating. We all know the greatest challenge in weight management is gaining control of what goes in the mouth on a day to day bases. Overeating or eating too fast, feeding cravings and emotions not hunger, eating calorie-concentrated foods with lack of physical activity, all lead to unwanted weight-gain. Much of what we eat feeds cravings and addictions rather than nutritional needs. The problem with feeding a craving is two-fold: we crave all the wrong things, fat, salt and processed sugar. When is the last time you had a “big carrot attack”? The second problem is, cravings cannot be satisfied, hence we overeat far too much of the wrong kinds of food. This is where fasting can help and is a great new beginning. A ten to thirty-day fast will undo physical addiction to food and break unhealthy eating habits. The longer the fast the more effective. But even a thirty-day fast will not necessarily break the emotional ties to addiction. We will deal with this a little later. Another gift fasting provides is a tangible starting point for a new you. There must be a divorce before there can be remarriage. Most people are more intimately involved with their eating than they are with their spouses. Fasting effectively serves the divorce papers to your former food-lovers. There is remorse, yearning, some testify to loneliness, as if an old friend has died. Makes sense, addiction is always there, waiting to comfort empty emotions, a comfort that comes at a great price. Clear starting points are important to change. Over years of compromise you may have effortlessly fallen into physical disrepair. Moving toward health is an uphill climb, demanding a strong exercising of your will-muscle. Fasting is a great way to start working that muscle out. Lastly, fasting will build powerful momentum, from a dead standstill to exciting motion. When years of weight fall off excitement and hope tingle, maybe I can do this! We all need a push in the right direction. Fasting is just that. Fasting really works, I just need the will power! Have experienced benefits before when summoning the w.power and hoping to do so again. The new format looks great! I use your website for my motivation through a fast. I've done numerous ones and I'm currently on a 5 to 10 day fast. Your website and book have changed my life. Keep up the momentum!